Summer has ended, but that doesn't mean your garden is done for the year. Keep the color coming with fall-bloom varieties. 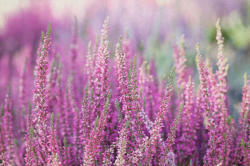 Autumn flowers come in rich colors that revive the garden. For success in enjoying such plants in the autumn landscape, one needs to plan ahead, no later than mid September ( in case you live in a warm climate). You surely shouldn't wait for late autumn, as putting them in the ground too late robs you of much of what little time you have to enjoy them. 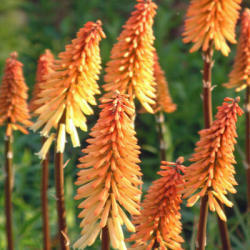 So grab the opportunity and fill your garden with these fall flowers perfect for late-season color. The extracts from the roots may exhibit antimicrobial, anti-inflammatory, anti-cancer, anti-allergy, and cholesterol-lowering properties. 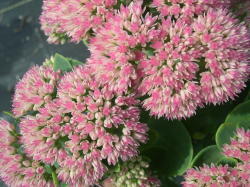 Flat heads of tiny ruby-red stars held on strong stems and supported by neatly crimped, chocolate-purple foliage. Aster flowers can truly be called the queen of autumn flowers. Bouquets of this "royal flower" are kept fresh for about two weeks. These beautiful flowers are geographically diverse plants, and will grow in zones 3-8, depending on the variety. 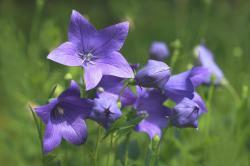 These plants are easy to grow in average soil. At the same time they require the full sun. 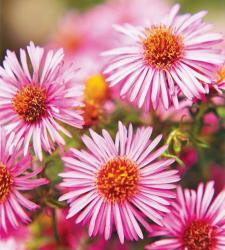 Aster flowers are used for their strong medicinal properties in some parts of the world. 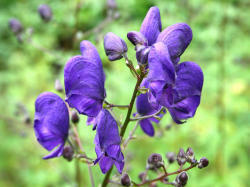 While the bell flowers look pretty in the summertime, the colorful pods make this ornamental plant so popular. 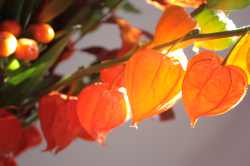 Chinese Lantern requires little fuss, but it'll spread quickly if left to its own devices. They thrive in garden soils, and grow in the shade of trees. A mixture of maple syrup and cream on this long-flowering poker that delivers in flushes. These plants are easy to grow in well-draining soil. 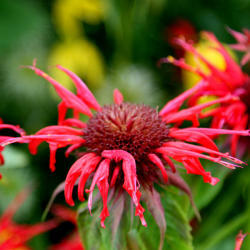 Brash scarlet flowers make this robust grower a show-stopper in September. The black pepper-pot seedheads last through winter too. 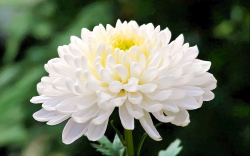 Chrysanthemum flowers bloom in various forms. Their bloom come in a variety of shapes and sizes and in a wide range of colors. These plants should be planted in well-draining soil. Chrysanthemum leaves are steamed or boiled and used as greens, especially in Chinese cuisine. Dahlias are the peonies of fall. 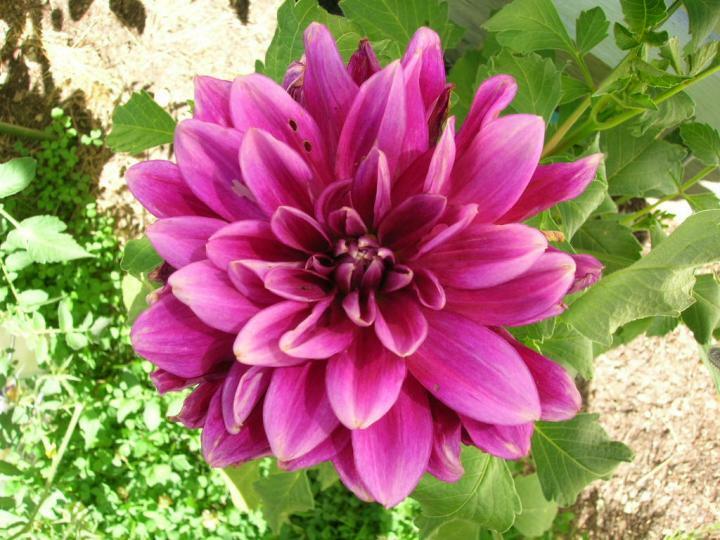 Dahlia flowers will please your eyes until the first frost. They are stunning in any garden. The more you cut them, the more flowers they produce. These wonderful plants are easy to care for and come in a variety of exotic colors and shapes.